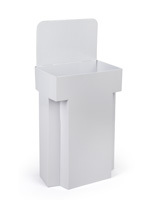 Cardboard POP displays keep bulk items contained! Ships flat for reduced costs! 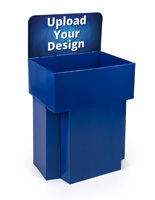 Blue cardboard POP displays attract attention from afar! Lightweight construction for ease of transport! 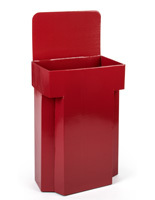 These cardboard POP displays highlight sale, clearance or overstocked items! When goods are not selling, business owners need to find a way to spark sales to free up counter, shelf or floor areas. 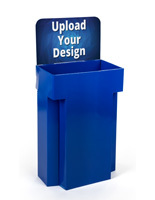 These cardboard POP displays, also known as corrugated racks, are the perfect solution! The point-of-purchase floor stands can be filled with candy, toys, stuffed animals, kitchen gadgets, coffee and more! 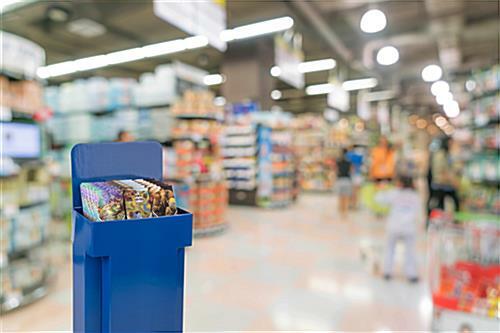 One of the best ways to stimulate sales of slow-moving stock is to place items in one of these cardboard POP displays, and position the unit near checkout aisles. While customers are waiting to check out, they often make last minute impulse purchases, especially if it is discounted! 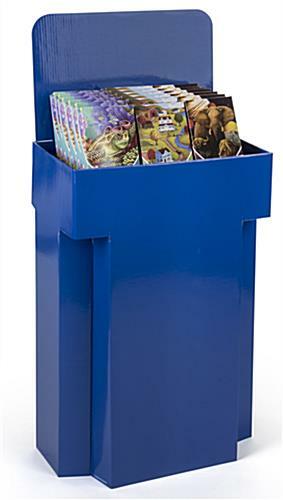 These sale bins, cardboard POP displays take items off a counter and bring them directly into view! 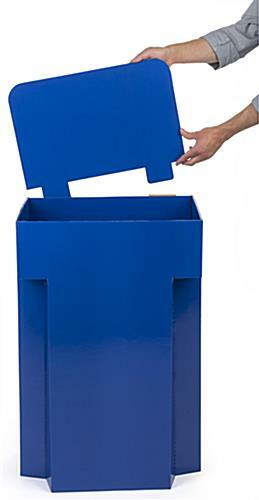 They are lightweight and easy to set up, but have a sturdy corrugated build! 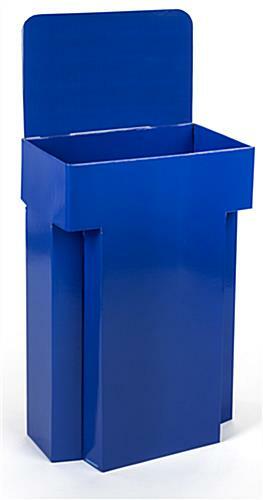 The container area of these point-of-purchase merchandisers measures 19-1/2" wide by 6-1/4" high by 12-5/8" deep. A removable header is included, really capturing the eye of passersby. The header measures roughly 19" wide by 12" high. Users can either write directly on the header or print out their own signage to paste or tape to the floor display. 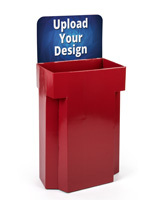 This corrugated point-of-purchase stand is a great means of increasing sales totals! 20.3" x 42.3" x 17.5"
19.5" x 6.3" x 12.6"
Aw, thanks so much Freda! We appreciate you sharing your image with us :) It looks great!